Portable solution for making fast on-the-spot mends to fabrics at home or on the road! 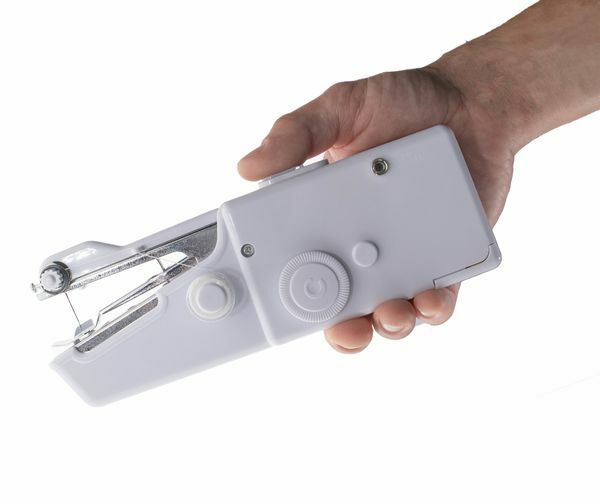 The Handheld Sewing Machine is a portable solution for making fast on-the-spot mends to fabrics at home or on the road without the need for a bulky sewing machine. Its lightweight and powerful design make this hand held sewing machine an ideal accessory to be kept at home or on the go. One speed single thread design reduces complication, making it easy to use. This lightweight sewing machine is powerful enough to repair any type of textile. Hem pants, repair holes, fix loose threads and complete simple craft projects. Requires 4 AA batteries, not included.